Where does the Chameleon live? Most of them live in Madagaskar, but also in Africa, India and Europe. What does the Chameleon eat? They eat insects but the bigger species also catch small birds. What is special about the Chameleon? 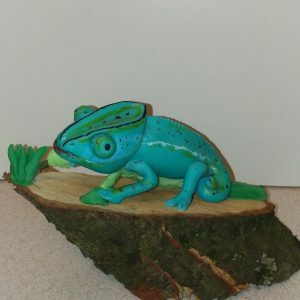 Chameleons can change their colour and can move the eyes independently.